Recently a question was asked on a group I belong to, “What’s your reason for not starting your business?” The primary reason for most people not getting started was fear: of failure; not being successful; not being good enough. I am in process of starting my business but am stuck with what to package together and what to charge. Hoping to subcontract for a while first to ease into it. Thanks for your comment Samantha! Have a look at the Show Archives – Ep 15 – What Do I Charge can help … note this is an older podcast but might give you a bit of a starting point. This is excellent Lyn, thanks for sharing. 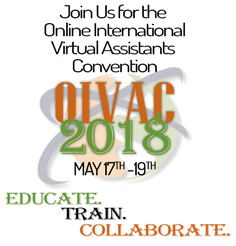 So many good points and ones that so many aspiring VAs need to hear. Great show. Fabulous to hear how you got started and I truly love the music for your intro and outro! !